Linus Torvalds, the man who initiated the development of Linux, is still the chief architect of the Linux kernel and acts as the project's coordinator. 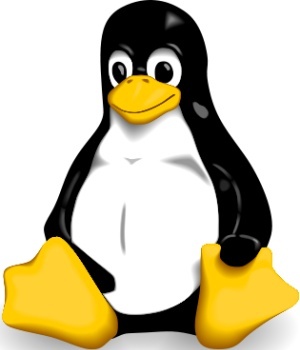 Yesterday, he approved the first release candidate for the next version of the Linux kernel: Linux 3.0. You can see the commitdiff yourself on Git, which by the way Torvalds also created, or grab the 93 MB snapshot yourself from here. Linux 3.0 adds support for the Xbox Kinect motion controller via a driver, cleancache support, updated graphics drivers, optimizations for newer Intel (Sandy Bridge, Ivy Bridge) and AMD (Fusion APUs) platforms, and more, according to Conceivably Tech. Overall though, this is not supposed to be a particularly huge release, at least not in comparison to previous new updates. Linux developers and enthusiasts have been debating for quite a while now whether it was time to move up from the current 2.6 version. Instead of talk of version 2.7, however, version 2.8 was being considered. For whatever reason, version 3.0 was chosen. Torvalds is, however, downplaying the higher version number. He admits that there are the usual two thirds driver changes and a lot of random fixes, but insists that 3.0 is just about renumbering. This means he does not expect lots of issues because there are no major changes. Linux 3.0 cannot come at a better time. Proponents of the open source project are preparing to celebrate its two decades of existence this year. Linux was started either on August 25, 1991, when Linus Torvalds posted a message saying he was creating a free operating system, or on October 5, 1991, when the first Linux code was released. Yay! Let the bikeshed painting discussions about version numbering begin (or at least re-start). So no ABI changes, no API changes, no magical new features – just steady plodding progress. In addition to the driver changes (and the bulk really is driver updates), we've had some nice VFS cleanups, various VM fixes, some nice initial ARM consolidation (yay!) and in general this is supposed to be a fairly normal release cycle. The merge window was a few days shorter than usual, but if that ends up meaning a smaller release and a nice stable 3.0 release, that is all good. There's absolutely no reason to aim for the traditional ".0" problems that so many projects have. In fact, I think that in addition to the shorter merge window, I'm also considering make this one of my "Linus is being a difficult ^&^hole" releases, where I really want to be pretty strict about what I pull during the stabilization window. Part of that is that I'm going to be traveling next week with a slow atom laptop, so you had better convince me I *really* want to pull from you, because that thing really is not the most impressive piece of hardware ever built. It does the "git" workflow quite well, but let's just say that compiling the kernel is not quite the user experience I've gotten used to. So be nice to me, and send me only really important fixes. And let's make sure we really make the next release not just an all new shiny number, but a good kernel too.